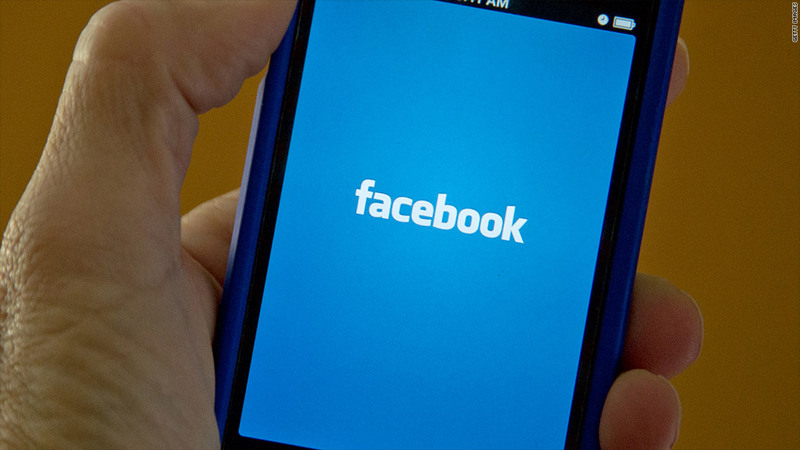 Investors are watching Facebook for further signs of mobile sales growth. After spending six months as the stock everyone loves to hate, Facebook impressed last quarter in the area Wall Street is most concerned about: mobile. The company has to prove itself again when it unveils fourth-quarter earnings Wednesday afternoon. Facebook's mobile problem became a focus in the days before its May IPO. The company acknowledged that a growing number of users were accessing the site on mobile devices, where it didn't "generate any meaningful revenue." That meant Facebook (FB) was completely missing out on making money from a large chunk of its audience. Wall Street doesn't like that. Those mobile concerns, coupled with other worries like Facebook's high rate of spending, sent the stock plunging to about half of its $38 IPO price in the weeks after its debut. Naysayers held Facebook up as an example of dumb money thrown into a tech bubble. But Facebook is now laser-focused on mobile. The push began in earnest in August, when Facebook launched a much-improved new Apple (AAPL) iOS app and began showing mobile users ads, including Sponsored Stories and other nudges to "like" company pages. In October, Facebook proudly revealed that 14% of its third-quarter ad revenue -- about $152 million -- came from mobile. At the same time, its mobile customer base rose 61% over the year to 604 million active users. Facebook shares have risen more than 50% since that third-quarter report and currently trade at about $32 each. Now, the company will have to prove that it can keep making money off its ever-growing mobile audience. Expectations are high. Research firm Trefis said in a note Monday that it expects Facebook to "make significant progress in ramping up" its mobile ad business. Facebook has been increasing the number of ads shown on mobile devices, Trefis noted, and "their effectiveness is also driving ad pricing up." Raymond James analyst Aaron Kessler went even further, upgrading his rating on Facebook shares to "outperform" from "market perform." He cited the nascent mobile monetization and improving usage stats, led by mobile users, as part of his rationale for the upgrade. Kessler was also bullish on Facebook Ad Exchange, a system launched in September that lets advertisers bid on Facebook's display ad space. It also lets them put cookies on users' computers to track people as they crawl the Web, and "retarget" those users with related ads when they log back on to Facebook. Facebook's other recent, big product launch came earlier this month with Graph Search, a tool that lets users search their social connections for information that their friends have shared. It focuses on "natural language" queries such as "music my friends like," "people who like soccer and live near me," or "photos of my friends before 2004." Still, mobile remains the big focus for investors, and they'll be looking for continued growth. In October, during last quarter's conference call, CEO Mark Zuckerberg was defensive on the mobile front. He called the concerns overblown, saying "our opportunity on mobile is the most misunderstood aspect of Facebook today." He also complained that company watchers were looking at numbers from earlier in the year, "when we weren't really trying yet" on mobile. Facebook is trying now. That has pulled the social network out of its post-IPO slump, but the company still has a long way to go to quiet the tech-bubble naysayers.